Upton voted “Yes” to an overall reduction in spending on energy and water proposed in the Blackburn (R-Texas) amendment to U.S. House Bill 3912. Seems pretty ironic now after the devastation by Hurricane Harvey, doesn’t it? On the same bill Upton voted “No” on a proposal to increase renewable energy spending in the Norcross amendment. 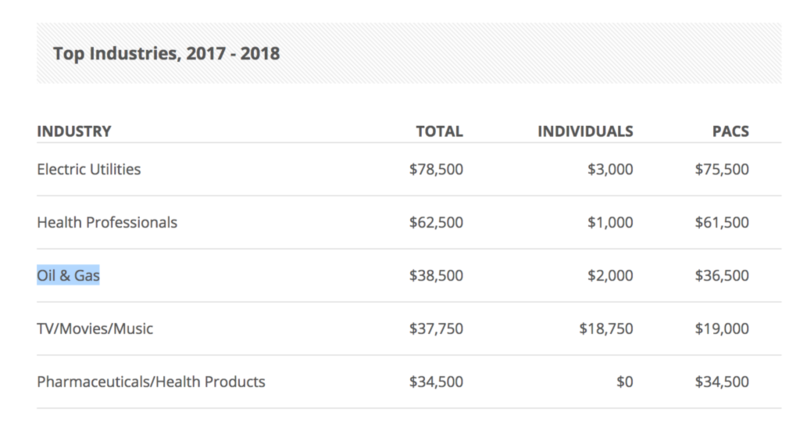 This is consistent with the paydays that Upton receives form the oil and gas industries which comes in at #3 in this list of donations to his campaign fund. His vote is always up for sale.